Construction sites can be dangerous places but thankfully, over the years, mankind has developed a technique for cutting through the hazardous haze; knowing your health and safety. Countless tradesman across the country are benefitting from a CSCS Test, it’s designed to improve safety and productivity on any work site and a trader who holds this qualification is instantly recognised as a trained, reliable professional. A Health and Safety Environment test is more than simply hoop jumping though. You’re much more likely to get consistent work and be trusted on a site if you hold a CSCS Card and have taken the Test, that’s very true, but you may also feel much more confident in yourself and your abilities if you know your health and safety protocols. A passed test means you’ve committed this vital information to your memory banks and will make it a part of your daily work practices. Co-workers will feel safe around you, accidents will be virtually non-existent and you’ll feel comfortable in the knowledge that your physical wellbeing has an added protective longevity. So how do you go about booking it? Simply actually. Just go online or call one of the certified companies who can administer one, in most cases, a company can provide you with services to get a Test booked, apply for a CSCS Card and any revision materials you might need. It only takes about 45 minutes and you can choose a date and time that suits you. There are 50 multiple choice questions based on case studies and health and safety systems and depending on which level of CSCS card you’re going for, you need to make sure you’re booking the correct test. Revision is key as if you fail, you’ll have to retake until you pass in order to get your card. Why not give it a go then? If you’re a professional trader, looking for work with reputable companies and you want a universally trusted way of showcasing your skills there’s no better way to go! 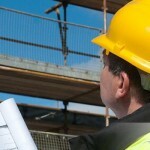 Get it booked and start reaping the benefits of your CSCS Test.